You don’t need to wait until you have a hearing loss to visit us at Northgate Hearing Services. If you are interested in preventative ways to protect your hearing or just want to sleep through sound, you can make an appointment with one of our Doctors of Audiology to have custom earplugs made. We make custom earplugs and do earmold impressions for everything from Noise Exposure, Sleeping, Swimming, to Musicians Ear Plugs for In Ear Monitors (IEMs). Did you know that noise-induced hearing loss, or hearing loss caused by sudden or prolonged exposure to noise, can cause permanent damage to your hearing? In fact, noise-induced hearing loss is one of the leading causes of hearing loss. As such, it is important to protect your hearing when you know you’ll be in such environments. When do I need earplugs? In addition, many household chores and everyday occurrences can put you at risk for noise-induced hearing loss. Everything from lawn mowers and blenders to garbage trucks, chainsaws and ambulances, can all cause temporary hearing loss due to noise exposure. While it can be difficult to protect your hearing from a passing ambulance, you can protect your hearing by wearing earplugs. Earplugs are soft, squishy cones that fit inside the outer part of the ear canal. There are many store-bought or over-the-counter versions available that can be easily disposed and replaced. These provide an adequate amount of hearings protection, but can make hearing anything difficult. For those who need more adaptability from their hearing protection, there are specialized earplugs. Musicians often use this type of specialized protection because musician earplugs filter out the damaging sounds while still allowing you to hear the notes, words and pitches required to perform. Earmolds tend to provide a tighter fit and provides more flexibility for those who still need to hear while using earplugs. Earmolds are available in a wide variety of sizes and types. Earmolds may be solid, soft or spongy. The most popular styles are full shell and half shell. Earmolds can also be used with headphones and headsets due to the variety and flexibility we offer. Custom earmolds will be made specifically for your physical fit, so you will get the most comfort and effectiveness from this product. 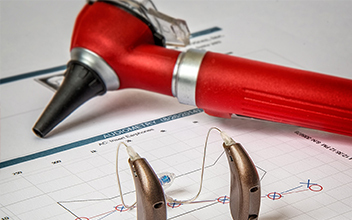 Northgate Hearing Services audiologists are specially-trained to make earmolds for our patients, providing the highest performing fit with the adaptability our patients want. 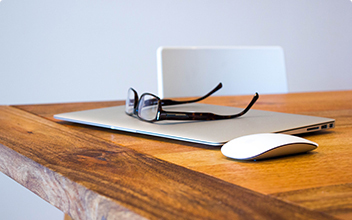 Talk more with our audiologists about your hobbies, lifestyles and particular needs. We have the earplugs and earmolds to suit your wants.